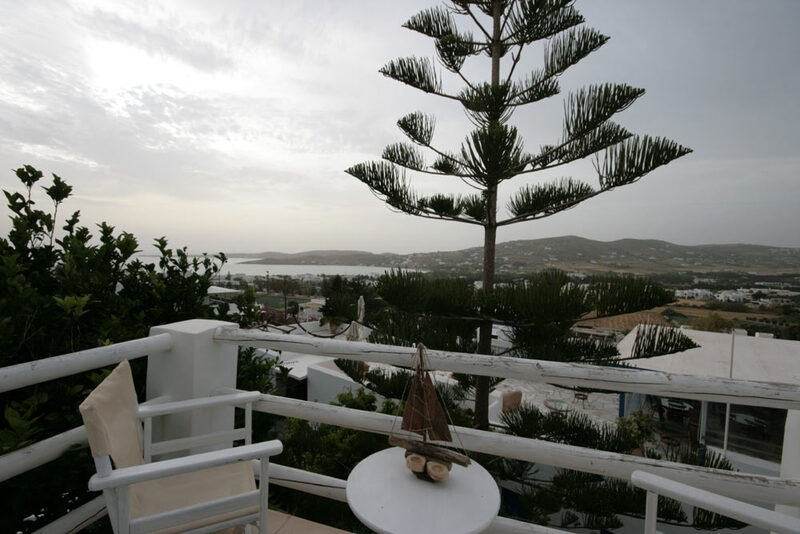 Welcome to Paros, the most enchanting island in the Cyclades. 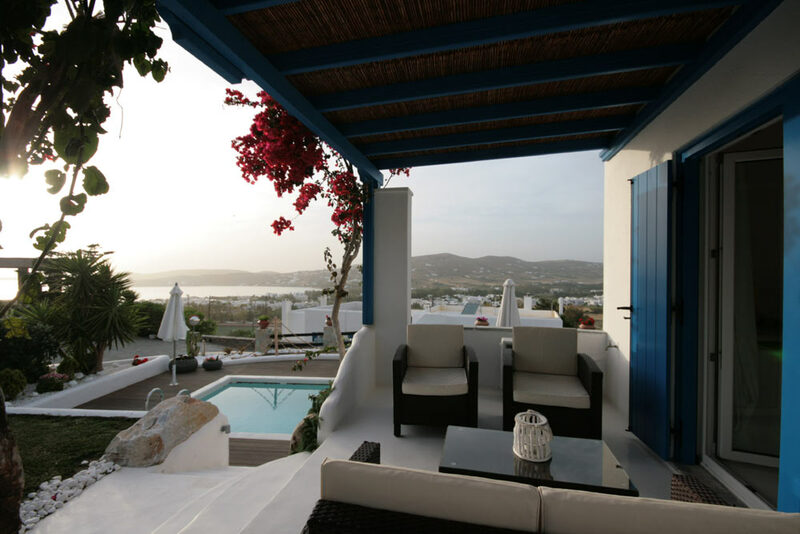 Shining in the sunlight, bathed in the deep Aegean blue, Paros will steal your heart from the very first moment you set your eyes on it. 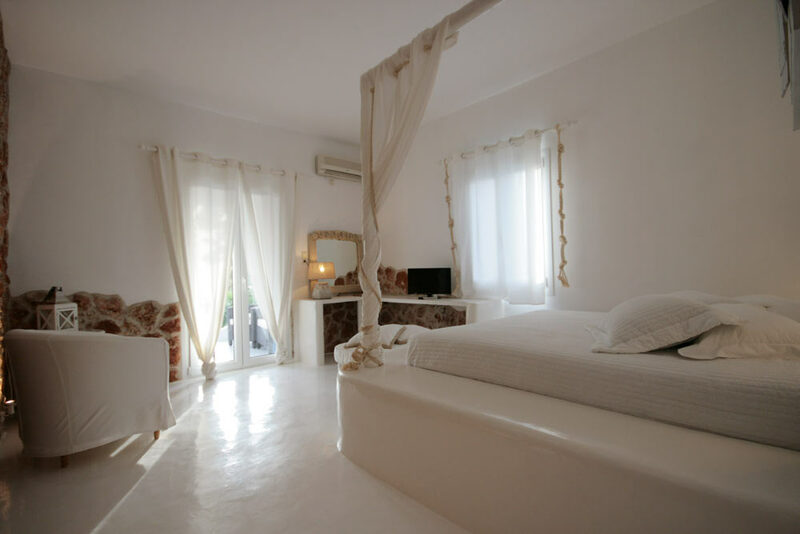 More hospitable and charming than any other, this island will offer you the most beautiful days and most seductive nights, for an unforgettable summer. 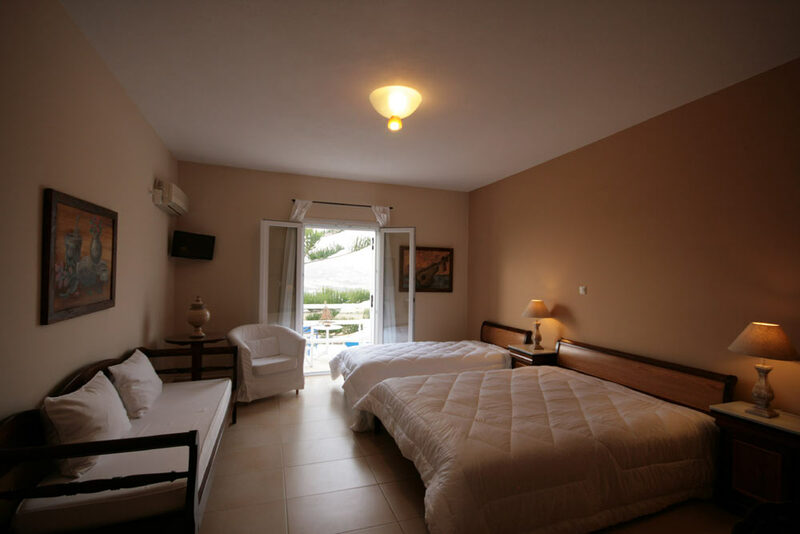 For your accommodation in such a wonderful place, you deserve only the best, and for that purpose, we have created Paros Palace. 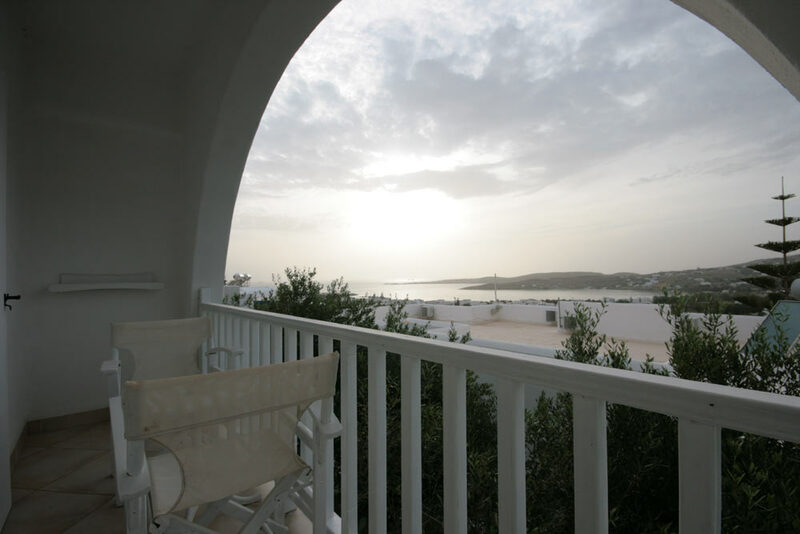 Paros Palace is the ideal solution for carefree, unique holidays. 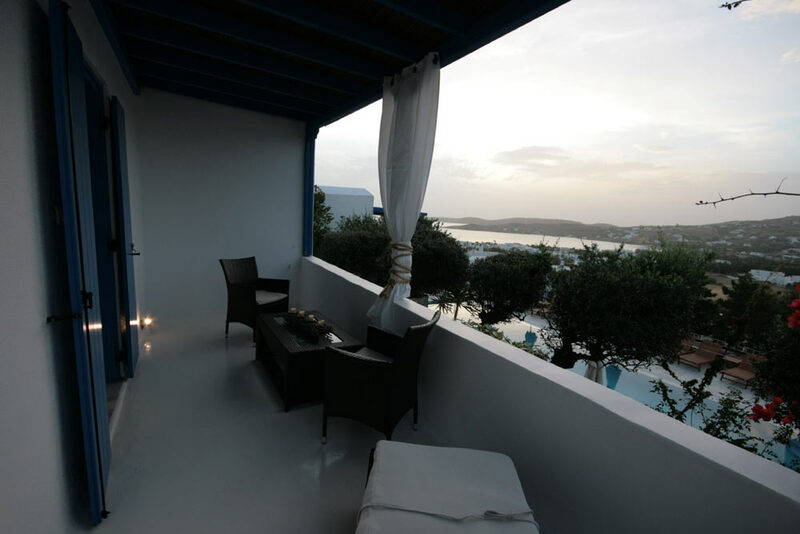 Built on a verdant site covering 5,000 square metres, the hotel offers a unique view of the bay and Parikia, the island capital. 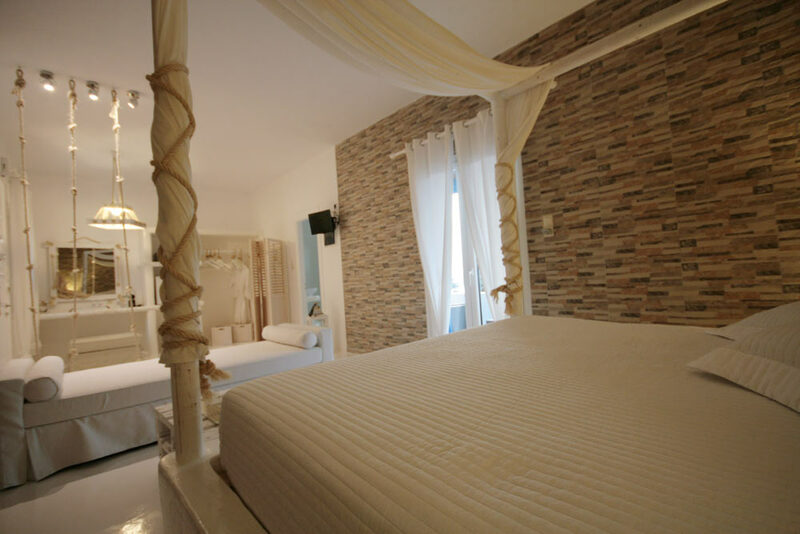 It is close to beautiful beaches, a stone throw from the town shopping area and nightlife, but in a location where calm and tranquility are the defining elements. Enjoy moments of affordable luxury in a hospitable environment, and allow our friendly, smiling staff to satisfy your every desire. 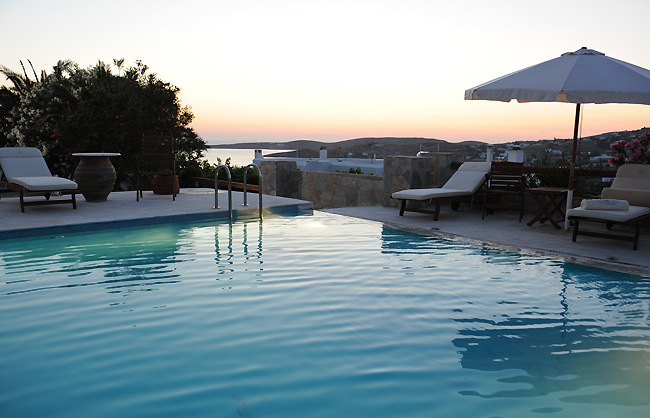 Relax by the pool, let the sun embrace you with its warmth, while the cool sea breeze of the Cyclades keeps you from getting too hot! 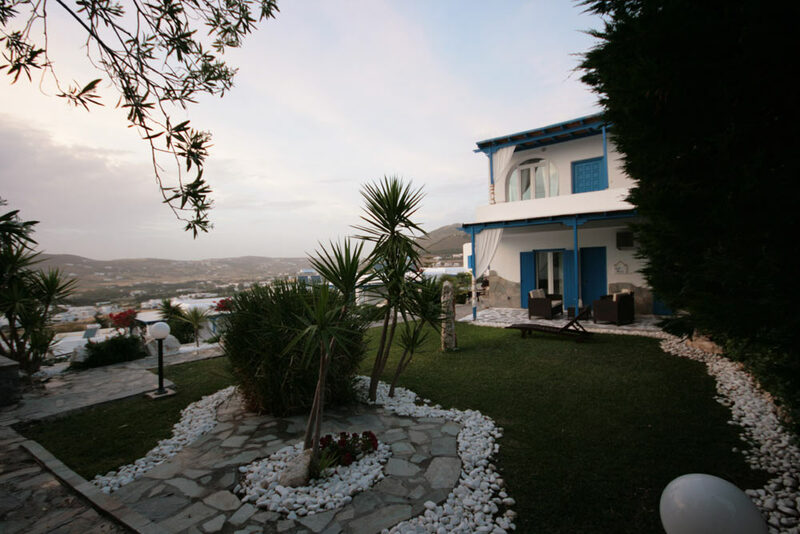 Rest your eyes on the sparkling waters and blue skies, and experience what we at Paros Palace call traditional hospitality. 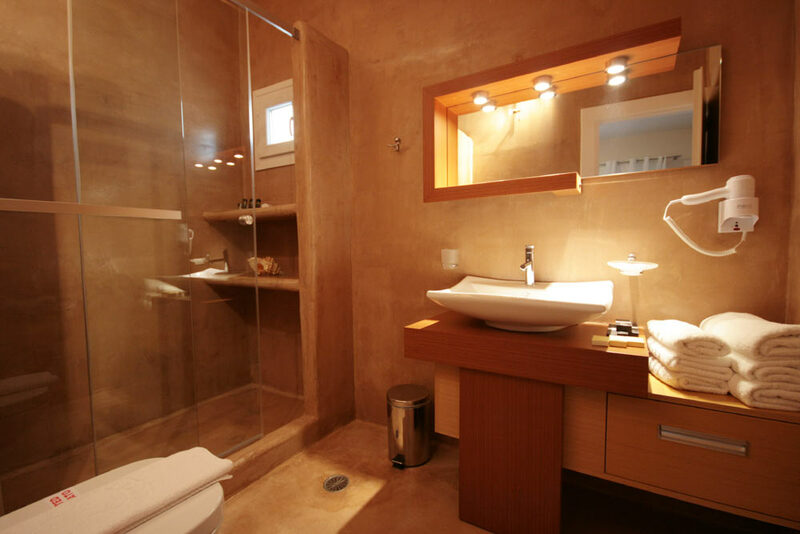 At Paros Palace, you will be the one to choose how and where to spend your dream holiday. There are several options. 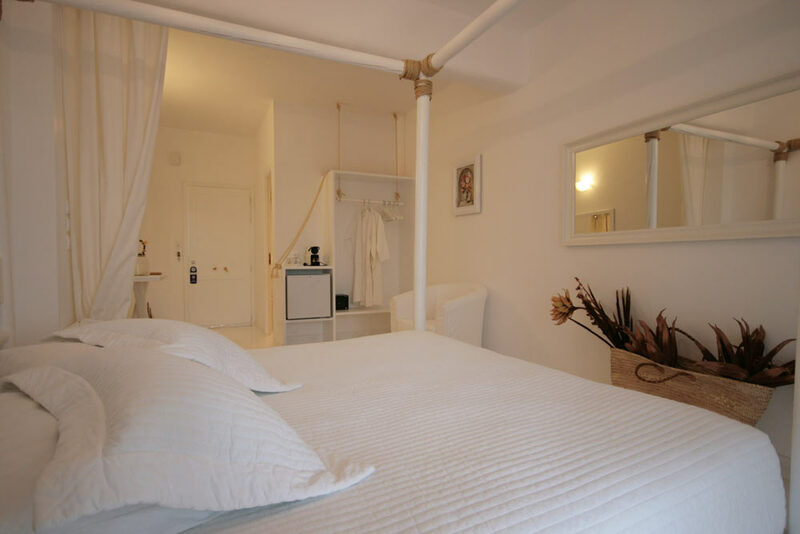 If you wish, we offer you the possibility to add an extra bed to you apartment. 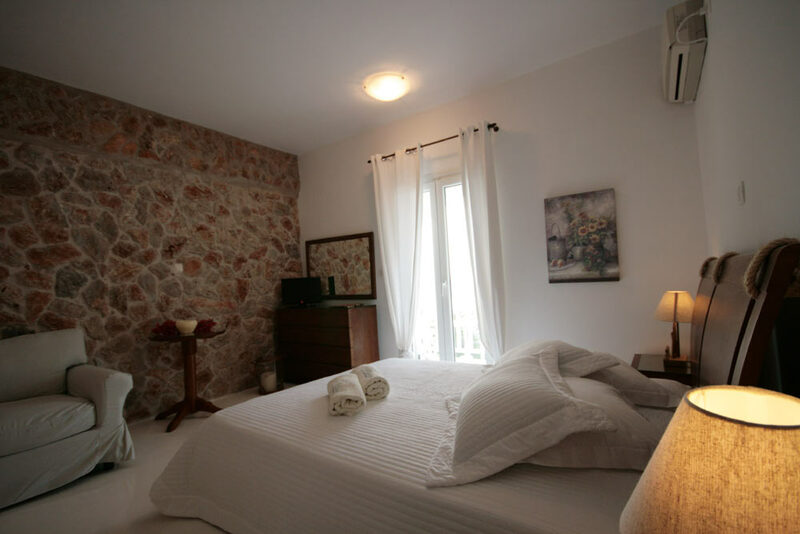 All rooms offer private terrace or garden with view to the sea (port of Parikia). 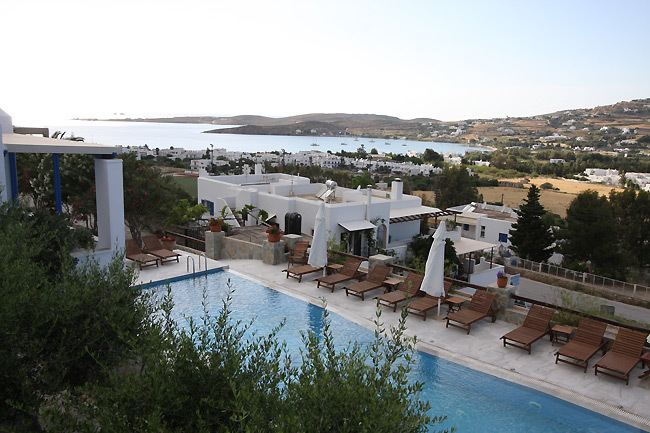 The hotel has a pool with jacuzzi, easy parking, immediate access downtown (400m from the port of Paros). Pets are welcomed. 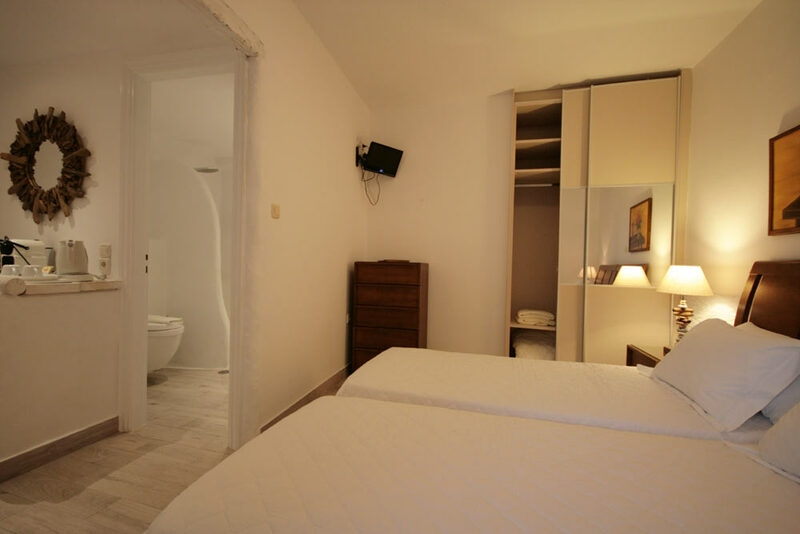 All rooms have T.V and air condition. Free transportation from and to the port. Breakfast (optional) is served to your room any time you wish.